"NEVER HELP A CHILD WITH A TASK AT WHICH HE FEELS HE CAN SUCCEED." Each family is invited to Olivia's Montessori Preschool to observe or participate in the classroom. After our six week adjustment period you are invited to set up an appointment to come and visit with us. The best time to visit the classroom is 9:00am - 10:00am. ​Recommended activities for you to share with the students are; read a book, bring a pet, share a hobby, discuss a cultural event, teach us a few words in a foreign language. Please email the Directress to set up an appointment. 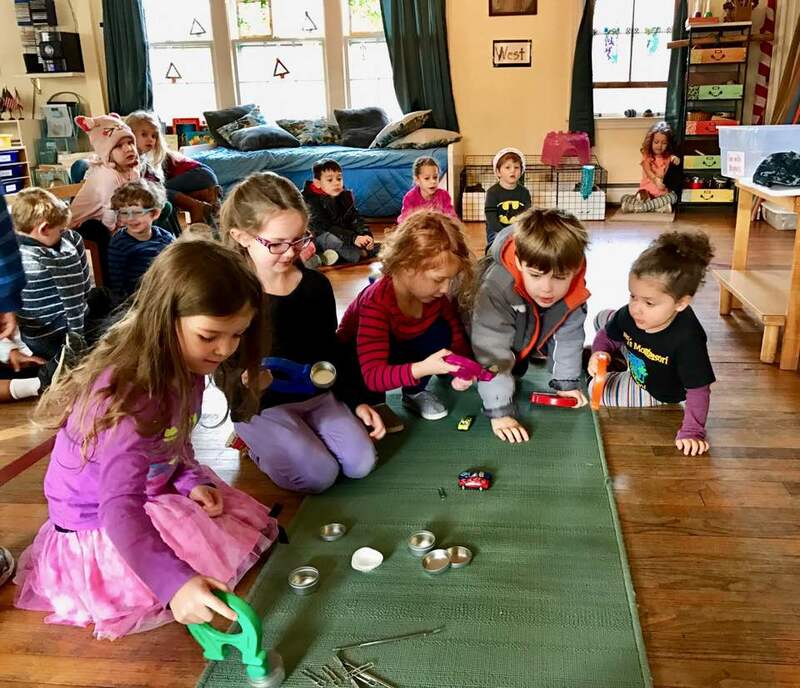 A Montessori classroom is an environment especially created for a community of children ages 3 to 5, who are guided by a Montessori director (the teacher), perhaps assisted by another adult. We are happy you are able to visit and we hope it will be an informative and positive experience. Observation is difficult. It is important that you observe as a naturalist observes – without interaction that would disturb and change the phenomenon. The teachers will be engaged in working with and observing the children, and may not have time to speak with you for very long at the end of your observation. A longer discussion is best suited for after class time, and you are welcome to request this. When you do come and observe staff will provide you further written guidelines to make the observation as successful as possible. Montessori pedagogy calls for maximum opportunities for the child to feel and act independently in the classroom environment so minimum adult activity in the classroom is a reality that best helps lead us to this goal. However we would invite and encourage parent involvement in all sorts of activities which would help provide the best program for your child and help you be a direct part of your child’s education. One of the most basic and valuable support parents can provide is help the child prepare and debrief each day by sharing what you did in your occupation and hearing what your child did during their day and compare notes. This kind of discussion, if started now can be an on- going habit that will be a terrific way to stay connected with each other throughout all their academic experiences.